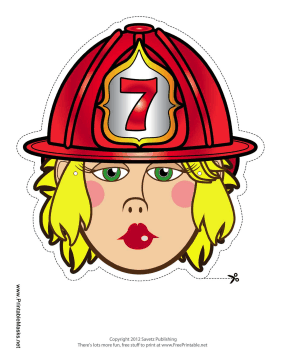 This lady firefighter mask has blond hair and a red helmet sporting the number 7. When you pull on this mask, you'll find that you're brave enough to save kittens from trees! This mask is free to download and print.